Right After You Publish Content On Your Site You Can Start To Pull Traffic From Social Media Sites. Share and Build Unlimited Campaigns Fast! Sales Page: An easy to follow and understand sales page. Positive: Very easy to use and understand. WP Traffic App is a new WordPress plugin from Peter Garety who has a team of developers who make their own plugins from scratch. I have followed Peter Garety for a long time now and have purchased many of his products with complete satisfaction. I am sure you will find WP Traffic App to be the same. Now let’s discuss the app a bit. Four Simple Steps to launch your ad: Explore, Select, Design, Publish that’s it and it is all done inside your WordPress site you never have to leave it to do any part of this ad creation. Peter created these steps and the plugin after trying to promote his own brand new e-commerce site, without using his team or any 3rd party tools. He then understood how difficult it can be for anyone trying to create an ad and get traffic to there site. So the WP Traffic App was born, which allows users to get traffic quickly to any WordPress post or page and also includes WooCommerce store with just a few clicks. Step 1 – Explore – current trends on social media sites, find what people are talking about, save images and or text you like. This works for any keyword and any niche where you want to obtain lots of traffic. Step 2 – Bookmark – and chose which of the images you saved in previous step you want to use in your ad then download to WordPress media library. Step 3 – Design your campaign – choose design ad template (there are 34 media standards included), gives you the perfect size for your ad choice, you can choose background color, borders, arrows or underlines. Includes a FB 20% text coverage tool so you know you within the FB rules. Step 4 – Publish – select the image you designed and decide which URL shortner (like Bit.ly) you are going to use, add your text title and click Save. Schedule your ad, then choose whether you want to publish on Facebook, Twitter, Tumblr, Google+ or Pinterest. That’s IT!!! Share and build unlimited campaigns. This is an amazing WP Traffic App plugin to help you make quality ads quickly and easily and I recommend it. I know a lot of people, including myself, cringe at the thought of doing ads from scratch because you have to change browsers every few minutes to do the next step. With WP Traffic App users don’t need to go away from their website or search for help somewhere else or hire a designer for example. With just a few clicks then publishing your content you can have traffic coming to your site from social media. Simple as that and there is no limit to the amount to campaigns you can set up. After you purchase using my link send me a copy of your receipt for WP Traffic App and I will send you my FREE Bonuses. Send me a copy of your WP Traffic App receipt to [email protected] and you will receive your bonuses within 24 hours. 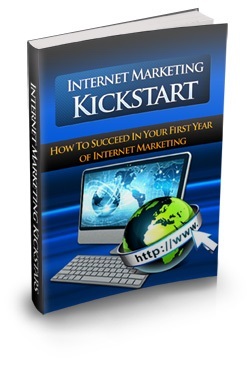 Internet Marketing Kickstart – how to get started in your first year of Internet Marketing. This book supplements your technical know-how you learned with Affiliate Titan Pro and gives you an idea of what to do with your skill and knowledge. It will allow you to channel your efforts and create far reaching plans. 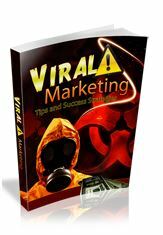 This book will teach you how to be successful in your first year in internet marketing. 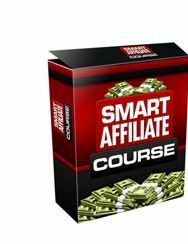 Learn how to do affiliate marketing the right way from the start. Avoid all the mistakes others make and learn from an expert.